In July 2015, Carole Desforges spotted a large, weird creature prowling around the lawn near her home in Plymouth in southwestern England. She thought it was a fox at first, but after a second glance, decided it was much too big, with long, cat-like legs that made it seem more like a leopard or a panther. And it was all black, unlike the foxes native to the region, which are generally red. Carole managed to snap a few shots of the creature before it skulked away. Friends suggested it might be a puma or a lynx. She wasn’t the first Briton to behold such a sight. Far from it, in fact. Stories of large felines roaming the countryside have long permeated the culture of rural England, Scotland, Northern Ireland, and Wales. In his book Rural Rides, written in the 1820s, author William Cobbett wrote about spotting a cat that was “as big as a middle-sized spaniel dog” near the ruins of the Waverley Abbey in London, claiming it was hanging out inside a hollow elm. A few centuries before that, a medieval Welsh book talked about the Cath Palug (“Clawed Cat”), a black kitten who grows into a huge cat and stalks the Isle of Anglesey eating warriors—nine score of them, to be precise. 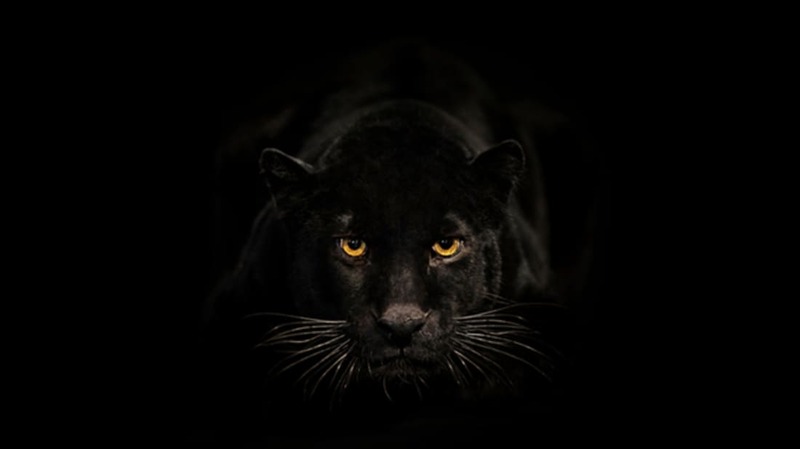 And since the 1930s, the region of Buchan in Aberdeenshire, Scotland, has been home to many sightings of a beast described as a huge black panther. Throughout the centuries, they’ve been known by a few different names: phantom cats, mystery cats, Alien Big Cats or ABCs (referring to the fact that no such animal is native to the area), or British Big Cats (BBCs). No one’s entirely sure whether these things are real or not, and as you might expect, there are more than a few theories out there. Some cryptozoologists take the “alien” in ABCs quite literally, positing that the cats come from another world and are linked to UFO sightings, while others insist that British big cats are the remnants of Ice Age fauna, having survived in small numbers, as living fossils, for thousands of years. Others, perhaps more reasonably, figure that the British big cats are nothing more than the progeny of escaped pets, as it was fashionable among wealthy people in the first half of the 20th century to keep exotic animals in private homes (that is, until the Dangerous Wild Animals Act banned this practice in Britain in 1976). A lot of people say they’re just stray dogs, and some similarly suggest that the phantom black dog of British folklore, which brings bad luck to anyone who crosses its path, has been conflated with the apocryphal big cats. But the big cats crop up in modern times regularly, too. Reports of the Beast of Exmoor, described as a gray or black cat standing 4 to 6 feet tall and hunting livestock in the moorlands of Devon and Somerset, began in the ‘70s, and in 1983, a farmer in South Moulton said it was responsible for slashing the throats of more than 100 of his sheep. Other regions throughout England have come with their own phantom cats, most of which are black: The Beast of Burford, the Wildcat of Woodchester, the Fen Tiger of Cambridgeshire. In the Forest of Dean, near the Welsh border, the local legendary leopard is simply known as Boris. Then there’s Danny Nineham, who works solo with just his “legs and brains,” to analyze cat sightings for various police forces, collecting photos (and feline skulls); he reports that about 90 percent of the BBC sightings are black cats. However, “that's because black stands out,” Nineham says in an interview on the Scottish Big Cat Trust website. “It's conspicuous out in the fields, whereas brown blends in more.” In a 2013 interview with the Welsh newspaper Daily Post, Nineham said he received reports of big cat sightings every single day, from people across the country. Carcasses of animals displaying bite marks similar to those of large cats have also been showing up in British forests for decades. At the Royal Agricultural University in Gloucester, an animal scientist named Dr. Andrew Hemmings has studied at least 20 such animal skeletons, with three of them bearing bite marks that could belong to a big cat. However, it’s hard to differentiate between bite marks left by a dog, badger, fox, or other carnivore and those left by an unknown species of cat whose teeth haven’t been studied. As such, none of the tests have been conclusive. And speaking of carcasses, a few have turned up as possible culprits as well. A Canadian lynx was shot and killed in Devon in the early 1900s, and its teeth showed that it had spent a significant amount of time living in captivity. Much later, in 1980, a puma was captured in Inverness-shire, Scotland, after sightings spanning several years; it was sent to a zoo for the rest of its life, where it was found to be reasonably docile (it enjoyed being tickled). As well, the skull of a leopard was discovered by a young boy on Scotland’s Bodmin Moor in the 1990s. It was at first thought to be evidence of the terrible Beast of Bodmin, but the Natural History Museum in London determined that it’d been discarded on the moor after being imported to the UK as part of a leopard skin rug. Despite all of these consistent sightings, it’s apparently been difficult get a clear photo of any of the elusive black kitties. In 2000, an 11-year-old boy had perhaps the closest encounter with one so far, when he was left with long scratches on his face after a juvenile “tiger-like” animal attacked him as he played in a field with his brother in Trellech, Monmouthshire. The boy clashed with the creature after “following a black tail” into the grass, which he thought belonged to his pet cat, Sylvester, and got a faceful of claws for his trouble. Even a subsequent police search by helicopter with heat-seeking devices turned up no trace of the animal. The British Isles do have a wild member of the cat family that some folks think are being mistaken for BBCs. The Scottish wildcat is found in the highlands in the northern half of Scotland and numbers only about 4000 at most; they’re elusive, living in underground dens and hollow trees. However, they don’t really match the descriptions of these phantom cats. Scottish wildcats aren’t much bigger than a house cat, and they’re certainly not anywhere near the size of the “panthers” and “leopards” that have been reported. They’re also not black—they’re more along the lines of a tabby on steroids. Meanwhile, it should be said that the United Kingdom seems to have a significant problem with large felines escaping from zoos. Since the late 18th century, dozens of lynxes, caracals, panthers, and pumas have slunk out of their cages (and have mostly been apprehended or killed shortly thereafter). The debate shows no signs of stopping, seeing as the big cat sightings haven’t either—whether they’re real beasts who’ve been terrorizing the sheep of the United Kingdom for centuries or are just campfire stories made up to scare British children.